Since 2005, husband-and-wife team Drs. 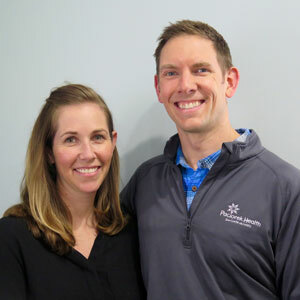 John and Shanna Paciorek have delivered high-quality chiropractic care to patients wishing to eliminate their pain, optimize their health potential and live a better life. At Associated Chiropractic and Functional Nutrition, we welcome every member of the family, from babies and children to parents and grandparents. We emphasize a gentle and holistic approach to health care, with a particular emphasis on functional nutrition and the unique needs of moms-to-be. Both Dr. John and Dr. Shanna hold a special place in their hearts for pregnant women and young families. It’s one of their greatest joys to be able to help moms-to-be experience an optimal pregnancy and a positive birth outcome. Both doctors earned their Doctor of Chiropractic degrees from New York Chiropractic College after completing their undergraduate work at Wright State University. Dr. John received his bachelor’s degree in biology with an emphasis on physiological psychology, while Dr. Shanna earned her degree in biology and biochemistry. Dr. Shanna pursued postgraduate study at Functional Medicine University, where she completed hundreds of hours of functional medicine training. Dr. John is currently working on his Diplomate in Applied Clinical Nutrition. 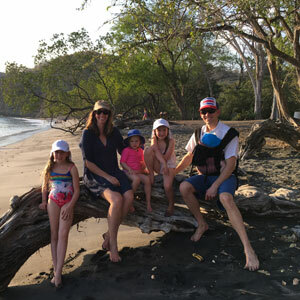 Dr. John and Dr. Shanna are family-oriented and the parents of four wonderful children. They act as positive role models for their kids, demonstrating the positive aspects of clean eating, outdoor activity and physical fitness. The experienced care at our patient-centered clinic is welcoming and supportive. Your well-being is our primary focus, and we’re dedicated to your satisfaction. Contact our chiropractic office today!